Arsenal secured a draw in the second leg against CSKA Moscow to seize victory against the Russian club. The match wasn’t as exciting as you’d expect it to be, although a total of four goals were netted, split two each. 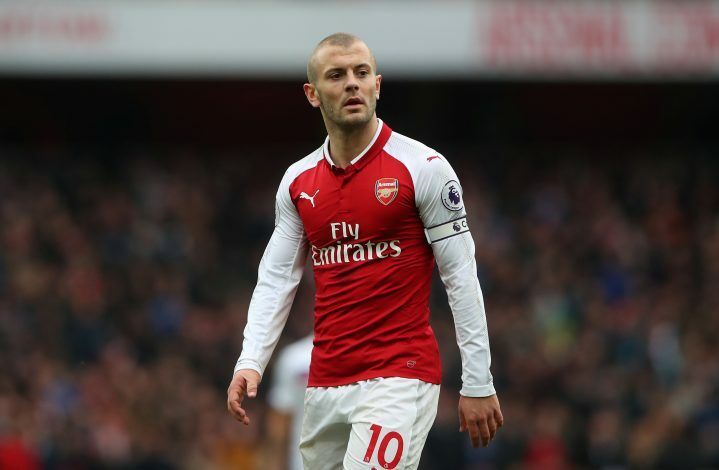 Despite the match being underwhelming, the supporters were bestowed with some entertainment in the opening moments by Jack Wilshere. In the eighth minute of the game, Arsenal defender Shkodran Mustafi was seen trying to clear the ball with a diving header around their defensive area. Amusingly, the clearance stroke Wilshere right in the face, which got the midfielder down for a while. The referee even had to suspend the game, with the England international being down for a surprisingly long duration. Further, most of the fanatics believed he’ll miss out on the upcoming World Cup, while he received serious treatment on the sidelines. Nevertheless, startling everyone who thought so, the Arsenal No.10 returned to operate on the field after blowing quite some time recovering. The incident indubitably received multiple reactions on social media, with supporters jamming Twitter with amusing comments. The Gunners had secured a three-goal advantage in the first leg of the quarter-final tie. Further, the brace from Aaron Ramsey and Alexandre Lacazette last night led them to victory.